~Cheryl Gee returned to her favored art medium for "Iconically Angelic": cut paper collage created from images in a couple of Harper's Bazaar magazines from the public library sale shelf. Twenty five cents each. Heavenly! 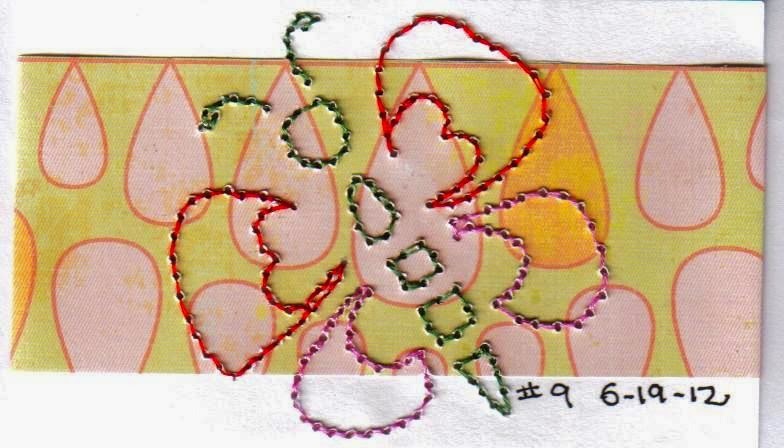 ~This creativity was shared at NC Sue's New Home for Wordless Wednesday. 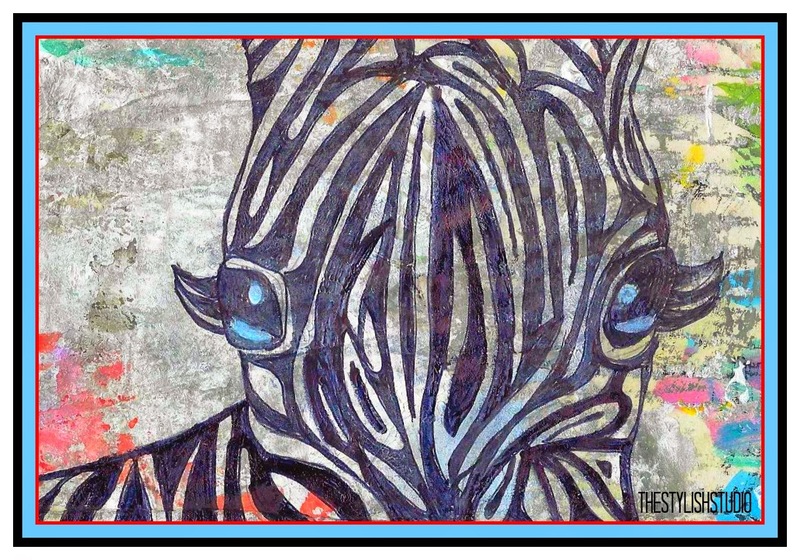 depending how far beyond Zebra you go." 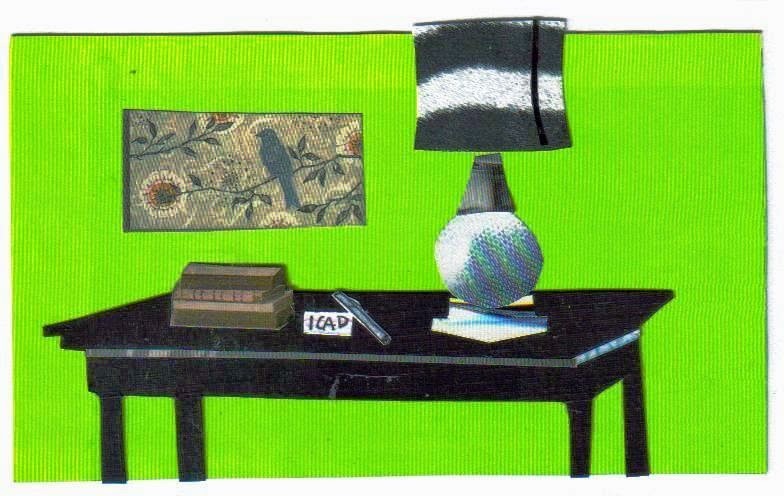 My drawing over my painted background on an index card! 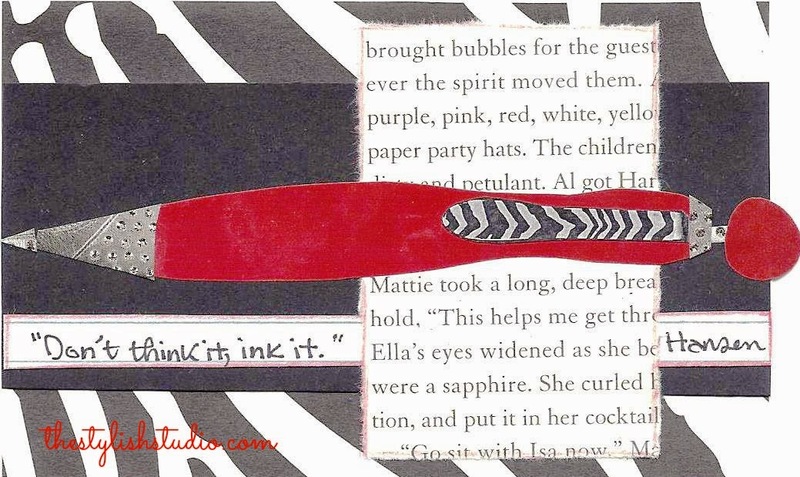 My cut paper collage of my own zebra accented pen on an index card. "Don't Think It, Ink It!" 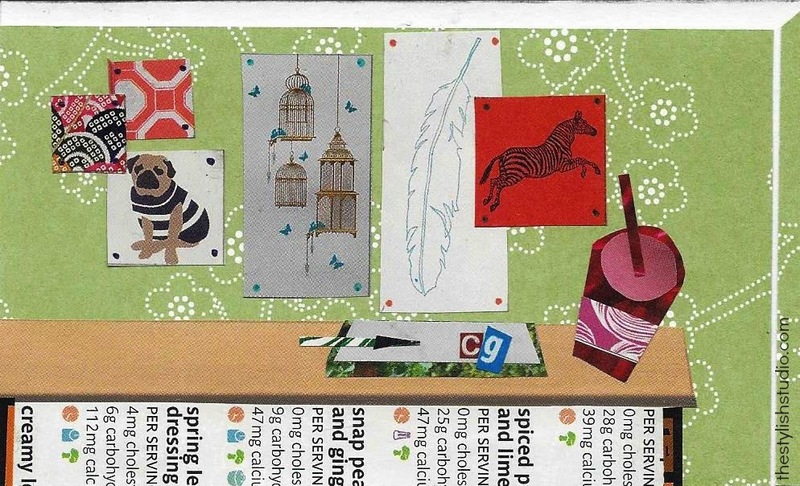 My cut paper collage with a zebra "poster" on an index card. ~Cheryl Gee was particularly intrigued by this school kid art mural inspired by Jan Pienkowski. 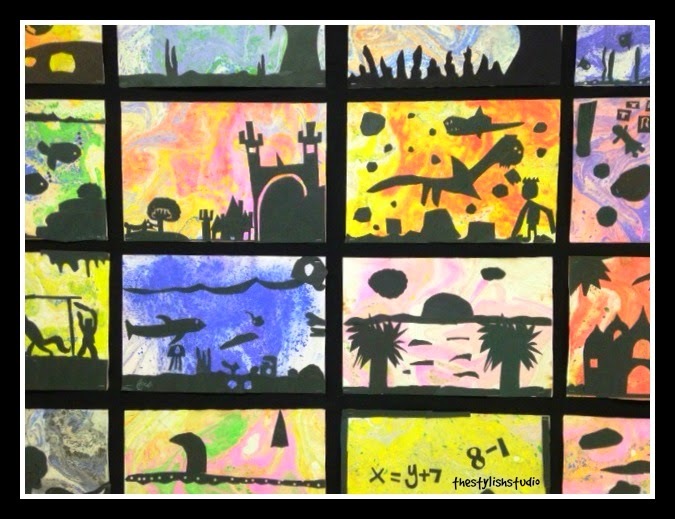 Students defined setting then selected a setting for their art piece. 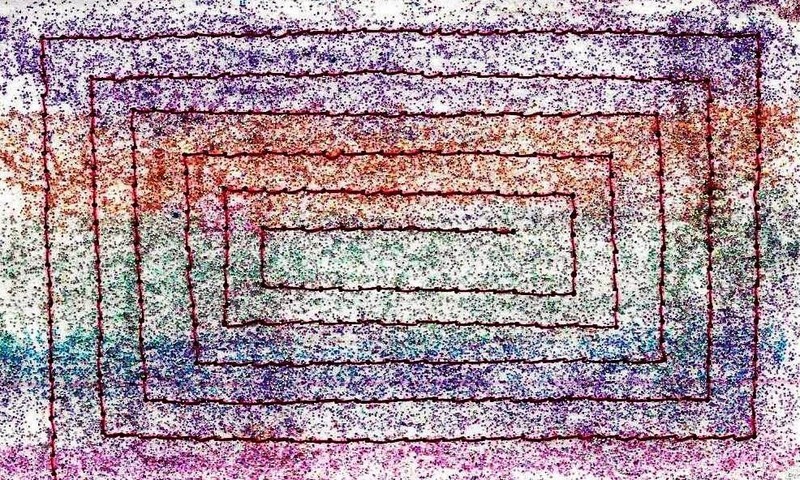 The students marbled paper by scrapping chalk pastels into a shallow tray of water. Because the chalk is less dense than water it will float on top of the water. 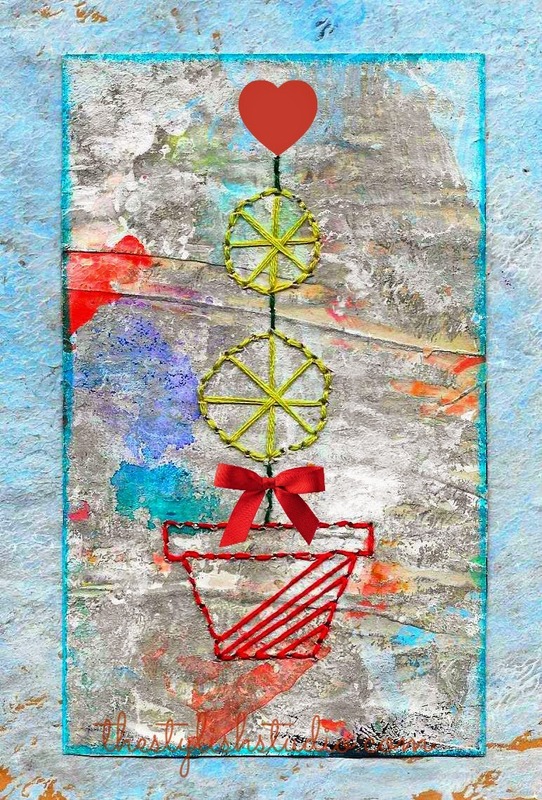 When paper is placed on top of the water it lifts up all the chalk dust. So amazing. So fun for the student artists! 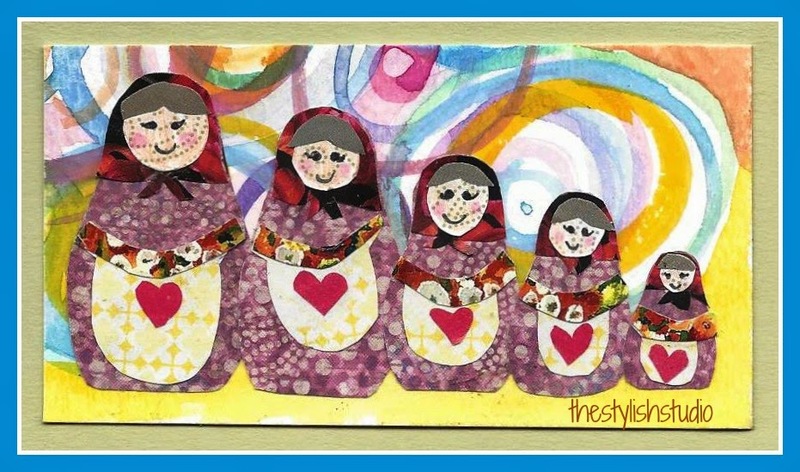 ~This creativity is shared at NC Sue's new home for Wordless Wednesday. 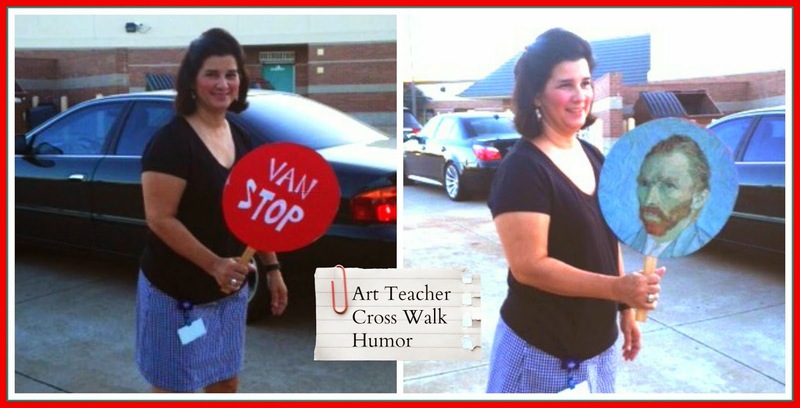 Van Stop/Van Gogh: This Teacher Is Creative! My school's art teacher has morning cross walk duty. Look what she made with a stop sign and a poster of Vincent Van Gogh. ~Cheryl Gee's new school year has begun again. 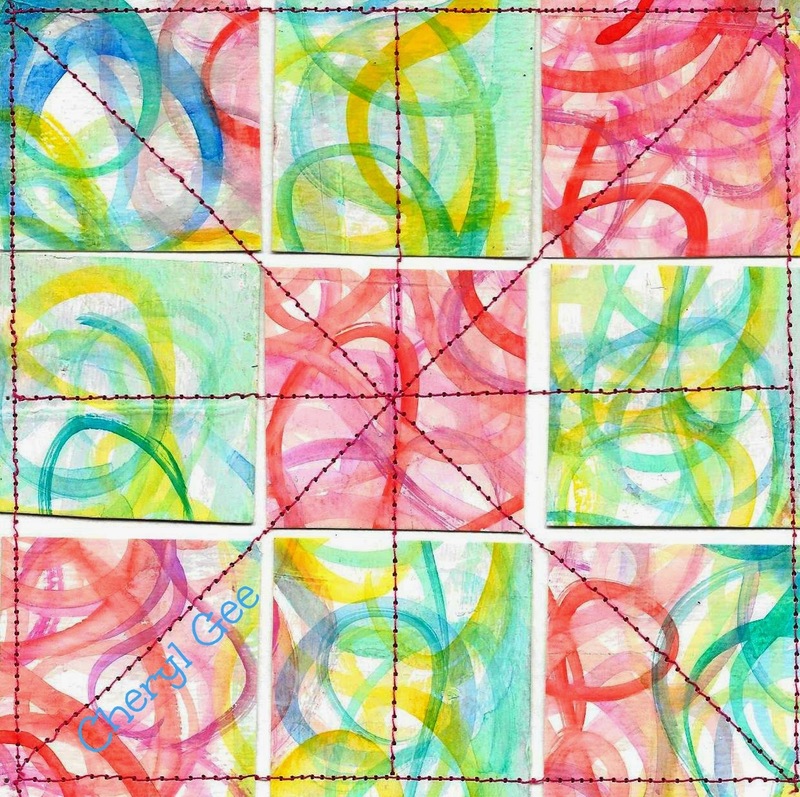 Her pursuit of creativity sometimes leads her in directions away from The Stylish Studio, but she returns as often as possible. Stay creative!